The Galaxy Note 5 has finally been revealed and it is more or less exactly the same as what rumors have been hinting at for the past few months. As we expected, the Galaxy Note 5 went the way of the Galaxy S6 and adopted a beautiful new design whilst receiving the specifications boost that puts the Note line on top of the game. However not all is jolly for the Note and in this article we will go over some of the reasons you will want to consider if you wish to purchase the Galaxy Note 5. Due to the absence of a removable back, users no longer have access to the battery nor do they have the ability to insert a microSD card. The Note devices have ALWAYS been the go-to device for power users not only because of its killer future proof specifications but also because of the above mentioned conveniences. Additionally, the battery of the device has shrunk to a smaller 3000mAh unit, given the battery struggles we’ve seen brought by Lollipop, I’m worried. As a faithful of the Note lineup myself, the sealed off back is definitely a major drawback that needs considering. The Galaxy Note 5 no doubt gets it’s looks from its smaller brother – the S6, but all that glamour comes at a price. A glass sandwich build has proven to be weak and prone to damage time and time again. When you take that build and scale it up to the size of the Note 5, physics begins to get crueler on the façade. The phone may survive a drop from waist or even head level but that glass will come off with a crack sooner or later. Many tech journalists have shared their views and opinions over the new Note for the past few hours. One point remains constant with them all though, the Note 5 does not want to stay in the hand. The metal and glass design combined with the curved back makes for a very comfortable gripping experience but unfortunately like the Galaxy S6, the phone tends to slip out of the hand. This is quite worrisome as the larger Note 5 is much easier to lose grip of. Furthermore going back to point#2, the device will likely take a bad hit when gravity pulls it down. Previous Note devices have always had a very clear distinction between themselves and the regular S smartphone line. 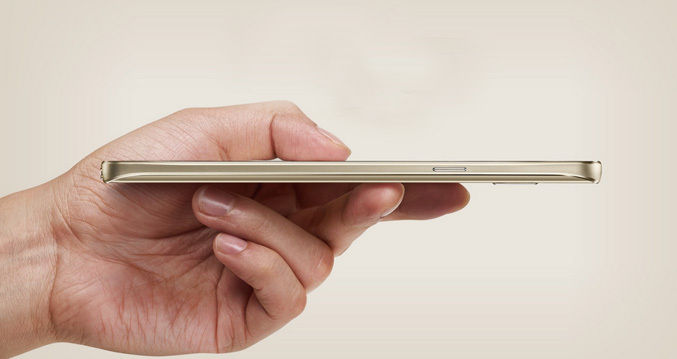 This year, the Note 5 very closely resembles the flagship Galaxy S6. To start off, it gets confusing to distinguish the two in images where usually size cannot be easily determined. 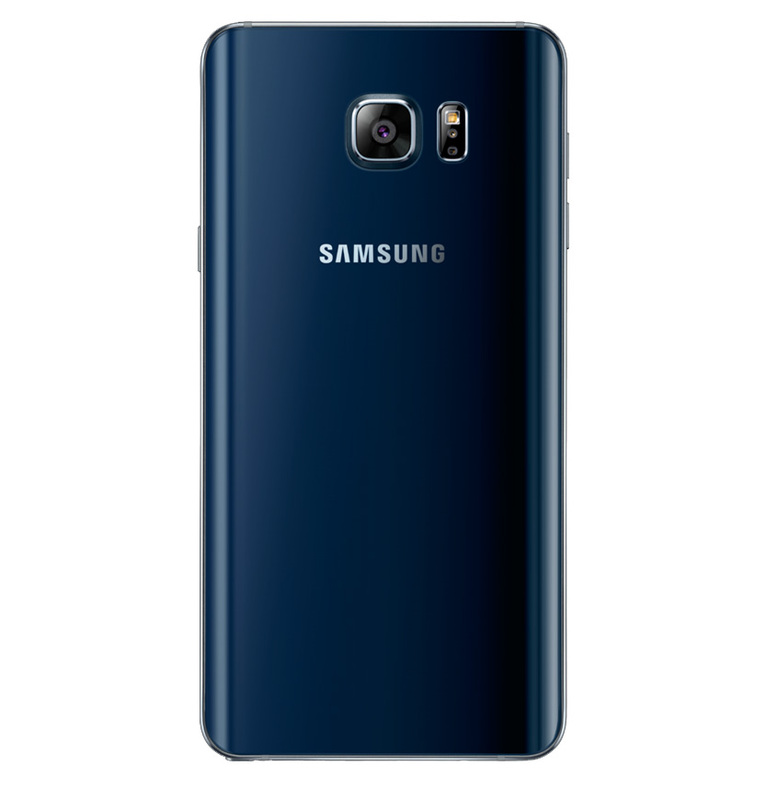 Secondly, repeating or re-using the S6’s design takes away a bit of the “wow factor” from the phone. Is that an issue per se? In my opinion, when a consumer purchases a smartphone worth more than $800, the consumer would like his or her mobile to be easily and immediately distinguishable. Regular folks should be able to just look and tell you what the device is. The more unique the design is, the more powerful the impact left on customers. This was especially true when the S6 Edge debuted, anyone could identify the device and the dual curved screen was just crazy cool. I understand why Samsung opted to use the S6 design here but having already been around the S6 for so long, the Note 5 does not feel as unique or polarizing. Although no official pricing has been announced, the Note 5 is expected to cost as much as the Note 4 at launch which is about $800. That is not cheap in any sense of the word and it begs to ask the question of whether or not the Note 5 is a worthy upgrade. For some casual users, the answer would be an easy “YES!” For others who like to get down and dirty with details, this is a really valid question mainly because the Note 4 still exists and is getting price cuts everywhere. 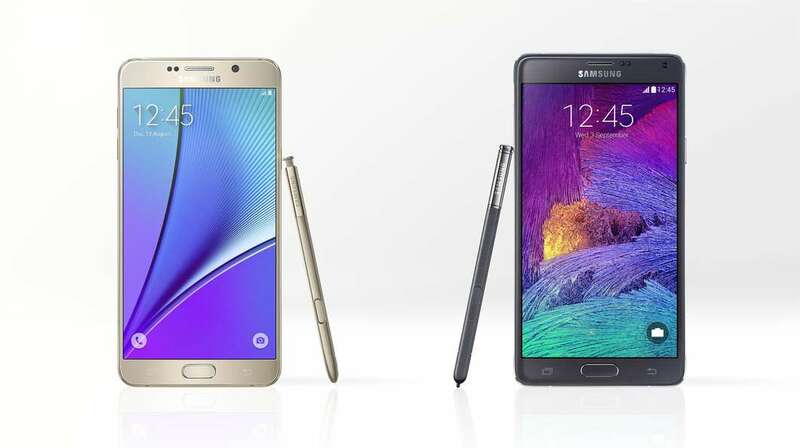 Even at this very moment, most people consider the Note 4 the king of all phablets – a whole year after its release. This will probably change once the Note 5 is put through the vigorous reviewing process. The Note 4 is undoubtedly attractive and still has a combination of great specifications, a killer camera and a removable back. If you count point for point, the Note 4 has a few tricks up its sleeve that the Note 5 does not. The removable back also adds a number of conveniences and opens up the possibility of customization. For existing Note 4 users like me, it is a very difficult choice. My Note 4 is working like a champ as it is with virtually no issues. Hence I must debate over whether an S6 like makeover with a little spec bump is worth upgrading to the Note 5. Until the Note 5 is put through its paces, we cannot say for sure whether or not it is a worthy upgrade. The Note 5 will certainly outperform its predecessor but for recurring customers of the Note line, a lot is missing and an excellent device (Note 4) is still available with pretty big discounts. For me personally, aesthetics do play a large part in smartphone choice. Having said that, I would think twice before ditching my awesome Note 4.